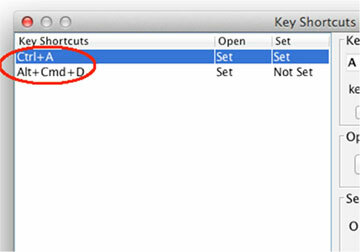 This feature is a very useful part of the Commands and allows you to prompt certain functions using set key shortcuts. On the key press, you can define write/set command or open command. 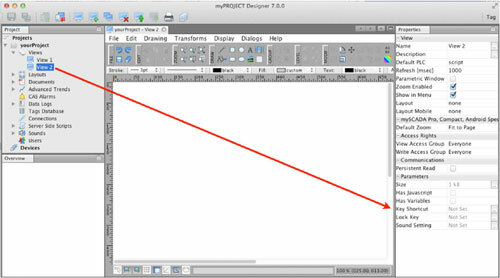 This way, you can change values in the PLC or open another view, just using a simple press of a button. 2. 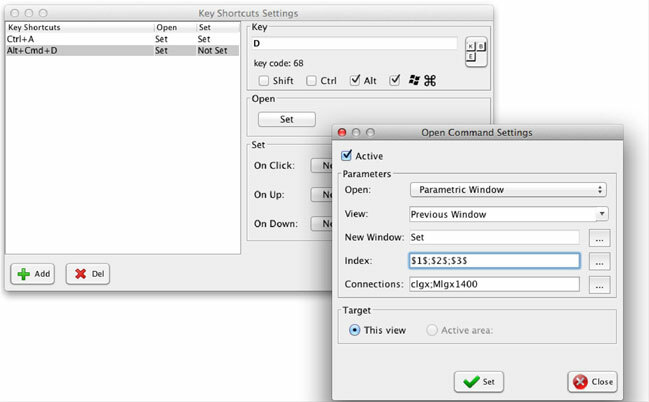 Click on the ‘…’ icon to open the settings dialog window where you can set arbitrary key shortcut combinations and assign the commands to them. 3. 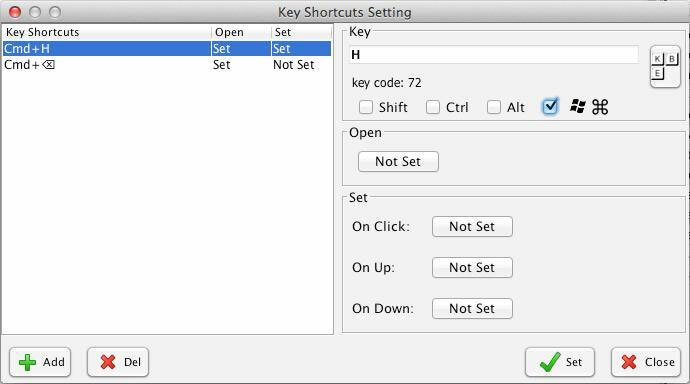 Click on the Add button and select the functional keys you want to use for the shortcut (Shift, Ctrl, Alt), then click the Key box (or click on the ‘KBE’ button) and press any arbitrary key on the keyboard (letters or numbers). 4. Now select the type of command the shortcut should prompt (Open or Write/Set) by clicking on Set and set the properties of the command in the dialog window as described earlier.